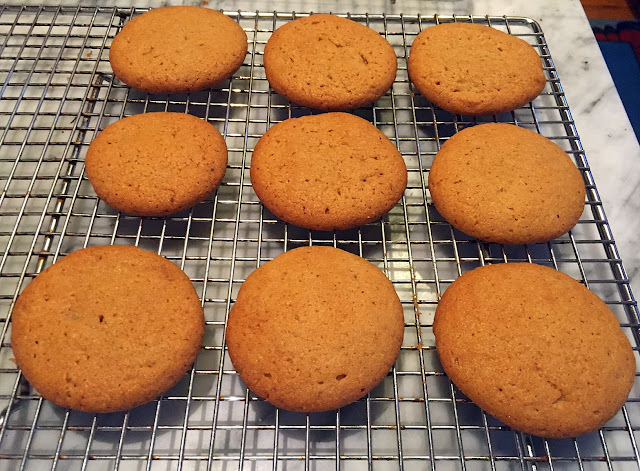 Who doesn't love a peanut butter cookie? Not me! 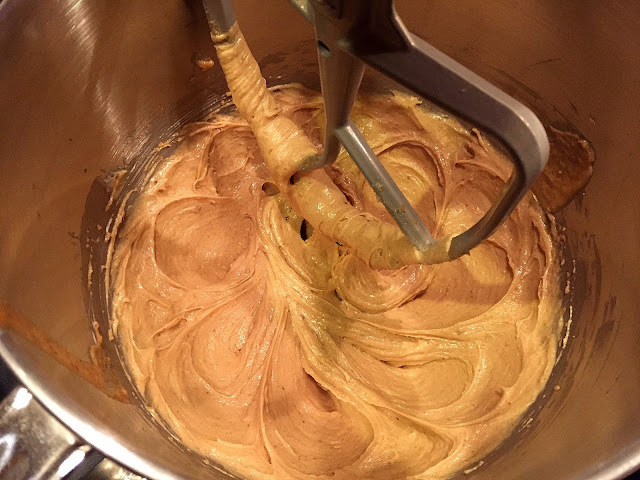 I've never warmed up to peanut butter desserts, but since I seem to be in a club of one, I often indulge family and friends. And so, just a few weeks ago on a gorgeous sunny day, I made a batch to share at an outing to the Jersey shore. 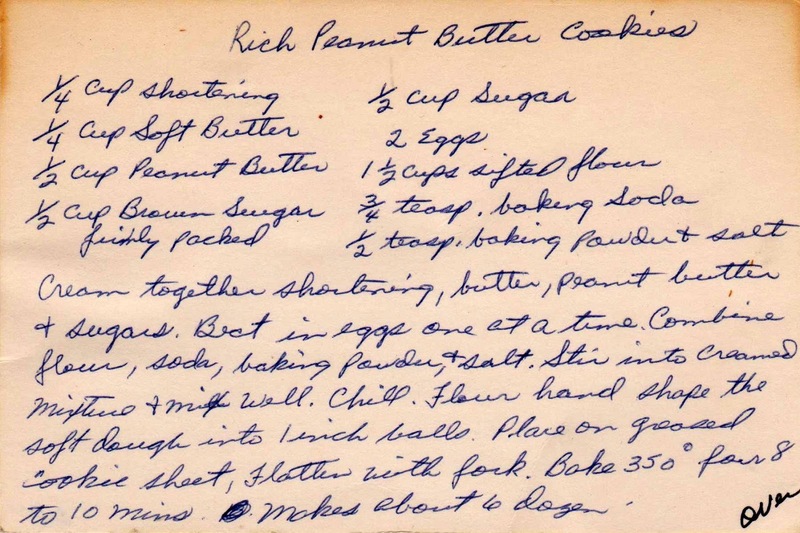 Peanut butter cookies have been a popular American treat for decades; I have about a dozen vintage recipes in my collection. This one dates from the 1950s. 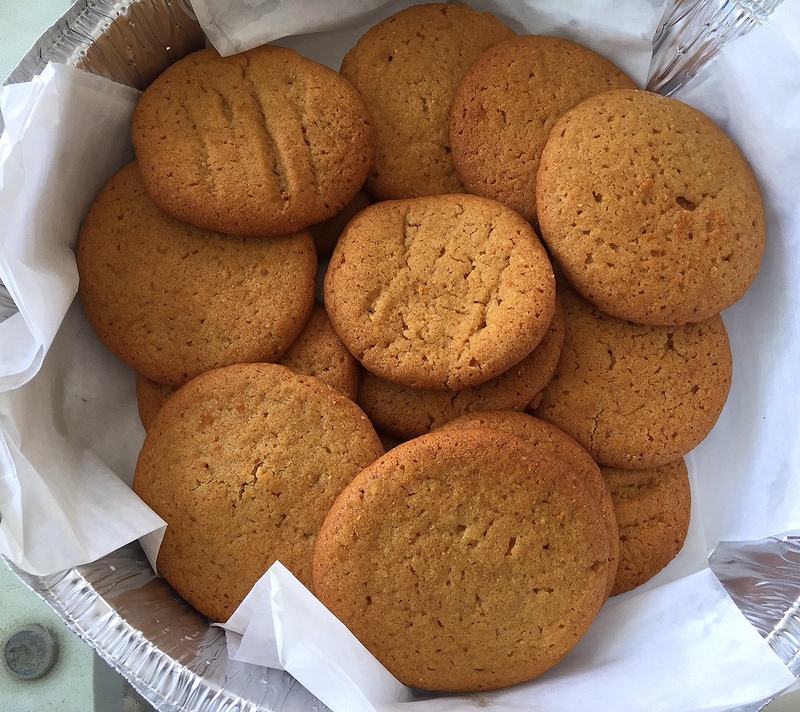 These are very good peanut butter cookies (or so I was told), but I think the "Rich" adjective was added for marketing value only, as these are no richer than other peanut butter cookies I've made despite a large butter to flour ratio. It seems to make the cookies softer, if not richer. Rich Peanut Butter cookies can be put together in just minutes, if you've softened the butter. It follows the formula of beating the "fat" and sweet ingredients, adding eggs and then the dry ingredients. This recipe does call for refrigerating the dough before forming into balls. 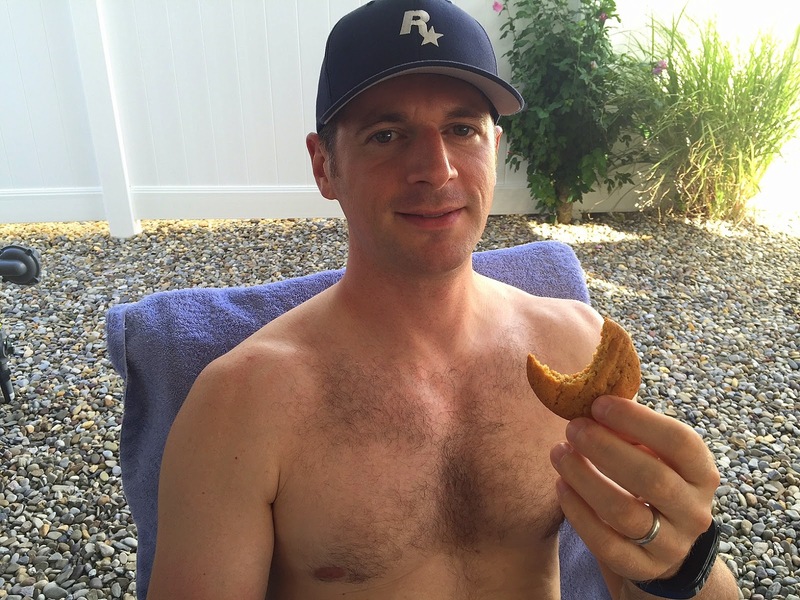 Cool the cookies a rack. World's best SIL Josh enjoying a cookie. 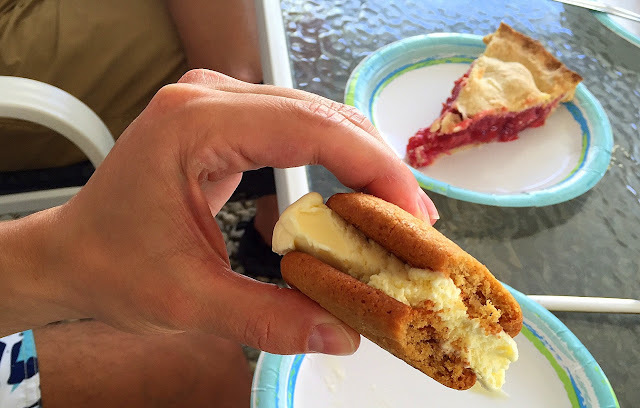 World's best DS created an ice cream sandwich with the ice cream intended for the raspberry pie, the other dessert I brought to the gathering. 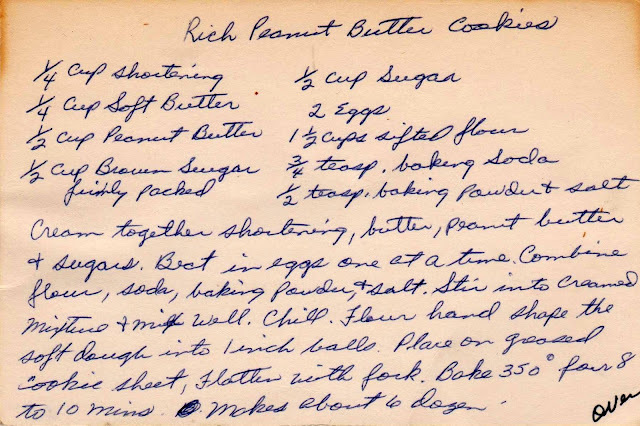 Production notes: I followed this exactly, but used all butter instead of the shortening. I used a natural peanut butter with no sugar added. The dough was too soft, even after refrigeration, for the fork indentations to work. After forming into balls (with gloved hands), I just pressed them down with my palm.